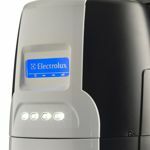 Electrolux Central Vacuum Systems are the best in the world - why? Over 50 years of central vacuum experience, we give you the Electrolux Oxygen Central Vacuum. Innovative product features designed with the customer in mind from the world's largest supplier of vacuum cleaners. 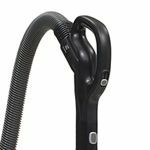 These unique and valuable features have been developed to make the task of vacuum cleaning as simple, effective and intuitive as possible. 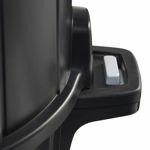 The handles with push button release allow for easy removal of bucket and stability whether taking the bucket off or putting it on. There's also a handy window so you can visually see how full the bucket is when you pass by. The bucket has a 31 Litre capacity (portables have 3-8L) so you may empty it out only ONCE a year. The Oxygen series of power units are equipped with a self-cleaning filter that maximises filtration, every time. The filter moves up and down during each cleaning cycle, which means that dust is "swept off" the filter surface. The filter is permanent and does not have to be cleaned during normal use. With the innovative design of the integrated silencer, all Oxygen power units come with reduced noise levels. This requires less space for installation and provides a more quiet and effective experience. The information display provides you with relevant information on your cleaning system. The only central vacuum with true HEPA provides amazingly clean air that does not have to be exhausted outside. A great option when external venting is not practical. For an added level of convenience, especially when dealing with a newbuild where they may still be an element of plaster dust around, a dust bag is adaptable to all Oxygen power units.The dust bag provides an easy way to collect and dispose of dirt and debris. All aspects of your central vacuum system have been designed to work together - seamlessly. 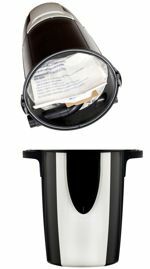 Below are the innovative, uniquely designed attachments providing you with an optimal cleaning experience. 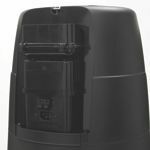 The uniquely designed optimal airflow shape achieves maximum suction with reduced noise. The ErgoGrip handle provides a dynamic interface with your Oxygen power unit. 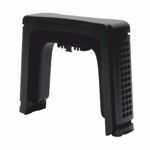 It is lightweight and ergonomic to help reduce strain on the writs and arm with finger tip controls easily adjusing the amount of suction with a touch of a button.